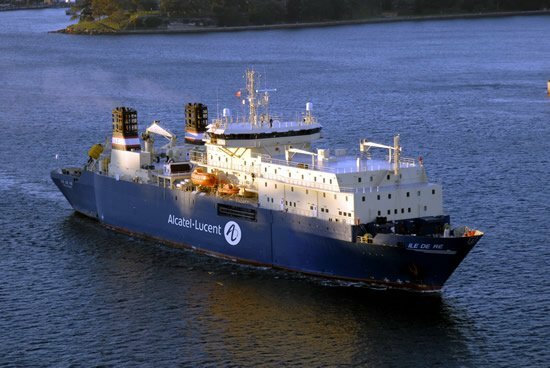 The Australia Singapore Cable (ASC) subsea system will be ready ahead of schedule, says telecoms provider Vocus, according to a ZDNet report which pegs July 2018 as the date that services will begin, a month ahead of the initial August 2018 date that we previously reported. The system was originally drawn up as a 50-50 joint-venture deal between Vocus and Nextgen Networks, but Vocus turned to Alcatel Submarine Networks when Netgen was acquired in June 2016 - and credits the faster delivery time on a good working relationship between the Vocus and Alcatel build teams. The faster build includes a new link, connecting Christmas Island to the subsea cable, and Vocus claims says the ASC is the only submarine cable system to have all landing party permits and approvals in both Indonesia and Singapore. Construction to landing sites at Singapore, Jakarta and Perth is currently underway. Measuring 4,600km, the four-pair fiber network will deliver 40Tbps between Singapore, Australia and Indonesia through four fiber pair. When live and plugged into existing the terrestrial fiber network in Australia, it is projected to offer a 30 pecent reduction in latency from Sydney to Singapore compared to existing routes. According to the ZDNet report, Vocus saw a net loss of AU$1.5 billion for the 2017 financial year. This was attributed to higher than forecast net finance costs and tax rate, on top of a more competitive business environment in Australia and New Zealand. The underlying net profit was AU$152.3 million.